We are glad and proud to announce that both Torpedo Launch (Tron Edition) and EtherKnight (Tron edition) got prizes rewarded by the folks at the Tron Foundation, Torpedo Launch as one of the winning projects in TRON Accelerator competition and EtherKnight as one of the projects that are able to run through TRON’s main net, or valuable to TRON’s ecosystem. https://hdx20.hdx20.io/wp-content/uploads/2019/04/tron-logo.jpg 500 500 hdx20 https://hdx20.hdx20.io/wp-content/uploads/2019/03/hdx20token-1-180x180.png hdx202019-01-12 15:32:252019-04-10 15:46:35BOTH "TORPEDO LAUNCH" and "ETHERKNIGHT" got prizes rewarded in TRON Accelerator competition ! 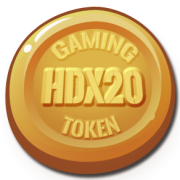 INTRODUCING “TORPEDO LAUNCH” the first skill-based Submarine Arcade... HDX20 new website is now live !